There is no single model policy; landlords and property managers are encouraged to adopt policies that work best for their property and tenants. Start off on the right foot. Implement a smokefree policy as soon as you decide to develop. Be sure to include smokefree signage as part of your building plans. Draft your lease. Include a smokefree lease provision or addendum that outlines the restrictions and penalties under your policy. 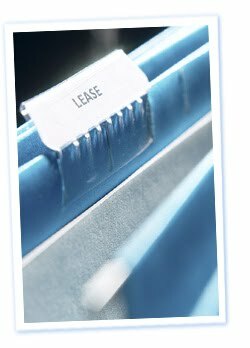 When new or renewing tenants sign the lease, have them initial that they have read and understand the policy. Advertise your status. Include your smokefree status in all advertisements for the new development. Smokefree policies are amenities, no different than the inclusion of heat or hot water. Remember, tenants want this! Notify incoming tenants. Include information regarding the smokefree status of your property on all applications and intake forms to ensure incoming tenants are aware of the smokefree provision. Include adequate signage and notification so that tenants, guests and contractors are aware that you are operating a smokefree facility. Include tenants in the decision. It is important to understand how your tenants feel about a smokefree policy. It’s a great way for you and your staff to see all the support you have for a policy, as well as determine the best type of policy to implement. Surveying tenants may be a good option for your development, as well as holding a group meeting to discuss reasons for going smokefree. Communicate widely. The key to successful enforcement of a smokefree policy is communication. Provide information early on regarding your decision to go smokefree: articles in tenant newsletter, letters to tenants, signage and tenant meetings are all effective ways of communicating and enforcing your smokefree policy. Offer cessation information. Most properties offer information on some type of cessation services (quit smoking support) to their tenants. For the more information on the Vermont Quit Network, which provides no or low-cost cessation services to Vermont residents, visit www.vtquitnetwork.org. Though you are not asking people to quit smoking, a smokefree policy may act as an incentive for people to quit or cut-back on their tobacco consumption. Providing tenants with information on these free services is a great way to show that you care about everyone’s health and well-being. Provide sufficient notice. Though most leases only require you give tenants 30-days notice prior to policy implementation, it is recommended that you relay your intentions to residents at least 90 days in advance. This extra time will give those who smoke a chance to adjust their lifestyle and will assist with enforcement in the long-run. Remember to follow the rules of your lease before implementing any policy change. With all new and renewing tenants, change the language of your lease (or add an addendum to your current document), making a smokefree policy part of your contract with your tenants. Be sure to have tenants sign off on this new provision to ensure they are aware the policy is changing.